The end is in sight! I can't believe we are are at the end of our last full week together. We've had such a busy week as well! On Monday we had auditions for Beauvale's got talent - well done to all those children that took part! On Tuesday we had recorder assembly, on Wednesday we had the year 6 leavers concert - what a fantastic (and tear jerking) performance they put on! Yesterday we had the amazing summer fair and today we've had Governer's awards and drumming assembly. Well done to Noah who received the award for class 4, you have made me very proud this year with your outstanding achievement. I'm already feeling quite emotional preparing to let them go on Wednesday, here's to a fantastic last few days together! PS. No spellings or homework - enjoy the sunshine! There is no homework or spellings this week. The children's reports have also gone out today. I hope you enjoy reading them. The end is fast approaching! Year One had a lovely day yesterday with Miss Manson and I hear they did me proud! We've got aspirations week next week which will be super and I am really looking forward to it! I will be hosting a nurse session and there will be plenty more in store for year 1 to learn about! Happy weekend! And what a beautiful sunny one it's going to be! This week in Beatrice and Rose made it to the top table for dinner and Theo and Imogen were in gold book! Well done all we are very proud. Homework has been assigned on active primary this week! Have a fantastic weekend, see you Monday! Wow what an exciting day we had yesterday! 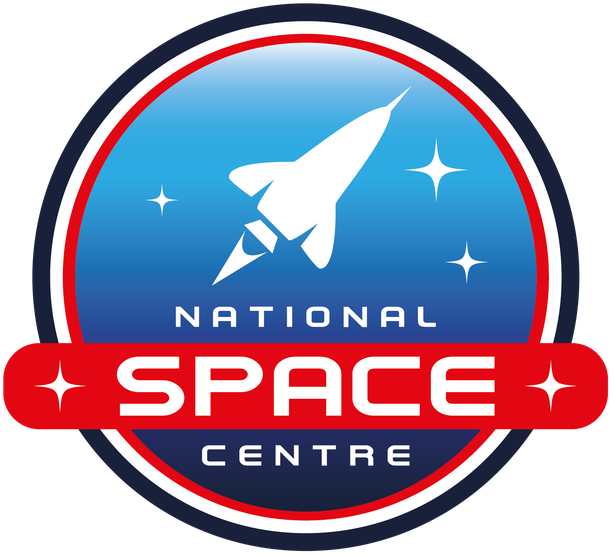 The children had an absolute blast yesterday at the space centre! The children made me so proud representing Greasley Beauvale in public and we all had great fun. When we first got there we walked along the astronaut footprints and into the building. Whilst we were there we did lots of exploring! We saw spacesuits, rocks, photographs, videos and a real life rocket! There was so many different things to see and do, we didn't have time to fit it all in! A clear favourite with the children was the astronaut show in the planetarium! The show was absolutely fantastic and the children were completely engrossed! Thank you to everyone who volunteered to come on the trip, I wish we could have taken you all! Today we have been doing lots of writing and drawing about our trip and have been enjoying some space themed choosing. Have a great weekend in the sunshine! Wow what a busy busy week, the children have been absolutely blowing us away with their phonics! It's been a really tough few weeks leading up to the phonics screening and the children have been working so hard. Thankfully, yesterday we finished testing and are so pleased with how they have all done, now just a waiting game to find out the pass mark. As a treat today Miss Atamaniuk and I decided to throw the children a party! We had balloons, music, dancing, choosing activities and party food! Miss A and I got a little bit carried away with our exciting idea last night and ended up making special invites when we should have been marking!!!! The children had a fantastic time and it was so lovely to see them enjoying themselves so much after a difficult week. In English this week we have been writing our own space stories ready for the trip on Thursday. The book we have been reading is 'The Way Back Home' by Oliver Jeffers. If you would like to watch it, Brian Cox has a lovely video on youtube reading the story aloud. In maths, the children have become increasingly confident with numbers to 100 and have been working so hard on tens and units. I can't quite believe we are waving good bye to another half term in Year One. The time has flown by as per usual. The children have been working especially hard over the past few weeks in preparation for the phonics screening which is now fast approaching. We have been doing so many different fun phonics games - the children have really enjoyed it! Its also been lovely to work with the children on a 1:1 basis more regularly. We've had a busy half term with lots of different events happening. We've been so lucky with the weather and have been making the most of it! A highlight of mine has been royal wedding celebrations. The children had the opportunity to go and play a variety of different games from giant jenga and kaplunk to space hoppers and croquet! The sun was beaming down and the children all had an a amazing time! This week we also had the pleasure of watching the dance showcase assembly! Well done to Lillie, Rose and Ruby-Mae who were absolutely fantastic and made all of us in class 4 very proud. Well done to all the other children which were involved, you all have worked very hard! In Gold Book this week we had Harlee and Kayla-Beth, well done you two! We also had Jagan and Jacob on top table! Well done boys, I hope you enjoyed your fancy table with juice! I have lots of photos to share with you and after the holidays I will be sure to upload them into the gallery. Children - Enjoy your much deserved break, I cant wait to see you raring to go again in a weeks time! Parents - Enjoy some time with your children, I hope the weather stays beautiful for you all! Another busy week... aren't they all in Year One though! This week we have been practising some phonics screening tests which have been super tricky but the children have been trying their hardest and have been really impressing me! In English we have been creating our own missing snake posters! 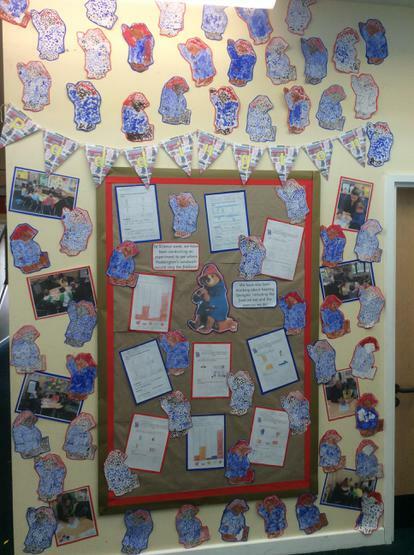 we've had some fantastic pieces of writing and they all look lovely on my new display. In maths the children have been blowing me away with their ability to share equally, next week were moving on to fractions!! Hello! I hope you all have had a good week, we certainly have! hopefully you have all had chance to see the lovely photos on the window from last Friday! We certainly made the most of the sun that's for sure! How the weather has changed this week though - still, the fun (and learning) must go on! This week we have been continuing with our deadly 60 topic and have been researching all about snakes! We now know lots of really interesting snake facts and did some fantastic independent writing that I am very proud of! In maths, we have been starting repeated addition in preparation for multiplication! Its been a challenge so its a good job that doesn't scare us off! This week Archie and Jagan were in gold book and class 4 one the 'neatest and tidiest' award from pupil parliament! I don't know who was more excited me or the children. 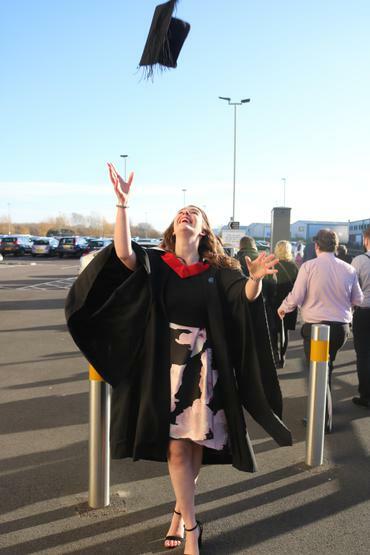 What an amazingly exciting (and busy) couple of weeks we have had! It all got kicked off with our lovely little chick eggs arriving in their incubator! 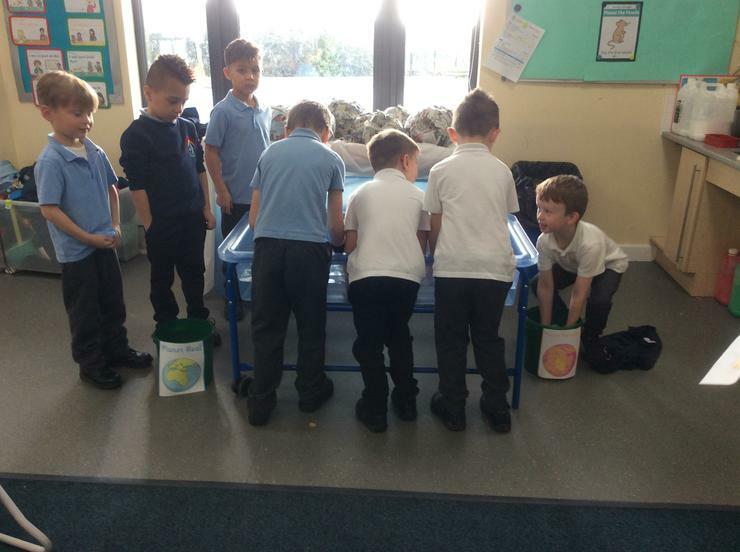 The children loved watching the chicks hatch and grow! Last week was Science Week and we had so much fun investigating where Paddington's marmalade sandwich would stay the freshest! We also had a fantastic, very successful parent's afternoon. Thank you to everyone who came, it was great to see all the children having fun with you. See below a photo of our new science week display in the corridor. This week, we have been focussing on Sport Relief, although we did not win the most miles, we managed to tally up an amazing 200 miles by this lunchtime! Well done to everyone in class 4 who gave it their all! Today was the big rowing competition and Seb was chosen as our rowing champion to represent class 4! He only went and won!!! Well done Seb you did a fantastic job and rowed your heart out! There are no spellings this week as assessment week is next week. Have a fantastic weekend, and as I look out the window now, I hope it continues to feel like spring throughout the weekend! This week started with lots of excitement as we celebrated a belated World Book Day! The children all had fantastic costumes and had a great time pretending to be their favourite characters. I was Little Miss Chatterbox for the day along with the rest of the staff who dressed up as Mr Men characters including Mrs Bates as Little Miss Girl Boss!! We learnt all about the Author of our topic Paddington, Micheal Bond and the children enjoyed at the end of the day a Horrid Henry story from Mr Smith, whilst myself and Mrs Greaves read to class 1! It was lovely to see so many of you of parent' s evening this week. Across the two evenings it was lovely to hear about the children enjoying school and their learning, what more could we ask for?! There has been change of timetable in Class 4. Previously, I had the whole day out on Thursdays for planning time which was covered by Mrs Rumsby. Now, I am out of class Wednesday morning and Thursday afternoon, this time will still be covered by Mrs Rumsby. On Thursday as a team, Mrs Rumsby and I spoke to all the children about the change of days and any concerns or questions they may have about how we are different. We also reassured the children that Mrs Rumsby and I work together to make sure we can make the classroom routine the same throughout the week. Next week is an exciting week with Science week and the chick eggs being delivered in their incubators Monday morning!! Have a lovely weekend, see you Monday! World Book Day will be happening this Monday 5th of March. Thank you, hope you’ve had a couple of lovely snow days with family! What a busy week! The children have been doing some amazing work writing fact files about Neil Armstrong, we have just been blown away with how much the children can remember! They have even taught us a thing two! In maths the children have been having a really good go at subtraction number sentences - they are so tricky but we are just about mastering them! We've also had lots of fun creating paper mache planets this week! Today we were asked by year 5 to show off our planets and tell them all about how we made them. Year 5 started theirs today but I bet they wont be as good as ours! 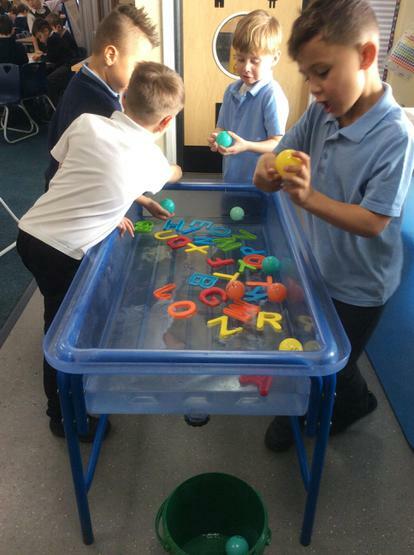 The children have a had a great time in choosing using our new water tray! 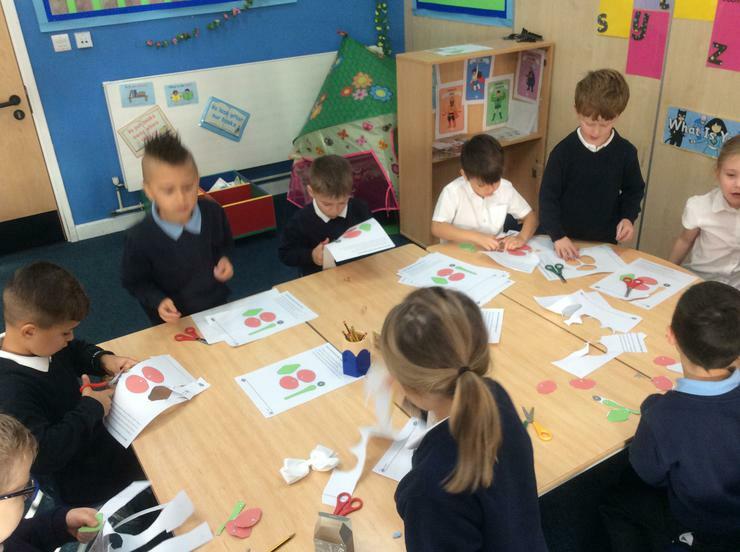 this week they have been sorting the real and rubbish words! Naomi and Harlee were in Gold Book this week - well done we are very proud! Wow! what a week! 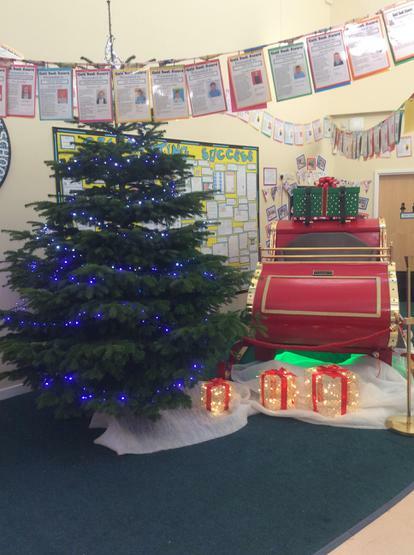 It's been a fantastic first week back and it's been so lovely to see the children and hear all their stories about what they've been up to over the Christmas holidays. The children have come back to school raring to go and eager to learn. I think getting back into our busy routine has definitely worn them (and me!) out! We've started our new topic this week which is Explorers and we're kicking it off with space explorers. The children have been using the laptops to research the different planets in space and have been doing detailed sketches of their favourite planet ready for a big paper mache project! In English, the children have been reading 'The sea of tranquility' and have being doing lots of beautiful writing. I look forward to another busy week ahead, enjoy your weekend! Welcome back, I hope you are all well rested and enjoyed some fantastic time with family and friends! Please see class 4's gallery page to see some photos from the last day of school! Well... I can't quite believe it is December already, how time is flying by!! The children have all come in excited today telling me all about their advent calenders.. and naughty elves in their houses?!?! 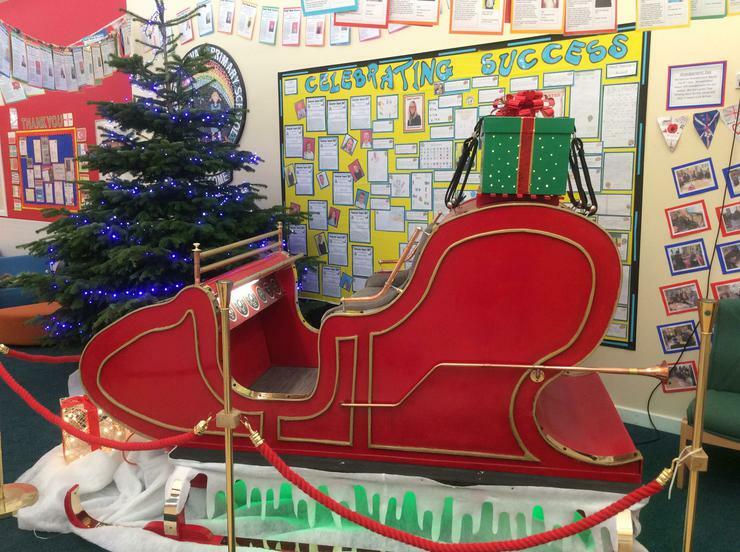 To really get the festivities going we had a very special guest visit the school today...Santa! He didn't stop to see us because he was so busy! But, he did leave his sleigh behind... Apparently he has so many toys in his workshop at the North Pole that he just doesn't have enough space for the sleigh so he has asked us to keep it safe! 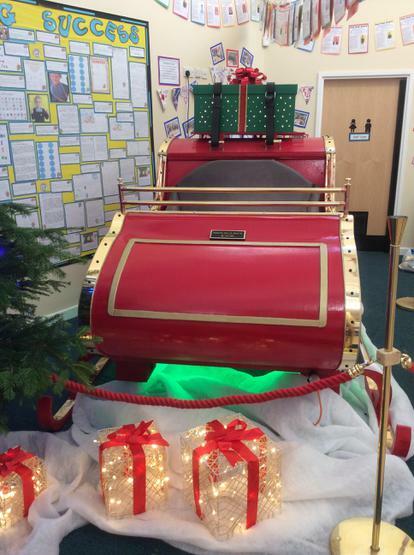 To say the children were excited is an understatement and they tip toed beautifully all the way down the corridor so we didn't scare the elves that were hiding! Well, we are truly underway with Christmas play rehearsals now and the children have been doing a fantastic job with their beautiful singing, we can't wait for you all to come and see it! Last week the children had a fantastic time on spotty day! The fashion show was a real hit and Beatrice and Grace did a fantastic job of walking the catwalk for class 4! This week the children have been learning all about 3D shapes and have had great fun exploring all the different 3D shapes we can find in our world! In English the children have been writing some fantastic sentences and have been learning big words like conjunction and clause! Another Friday... already! Time really does fly when you're having fun! Well done to Noah and Scarlett who were in Gold Book today - you should be very proud! 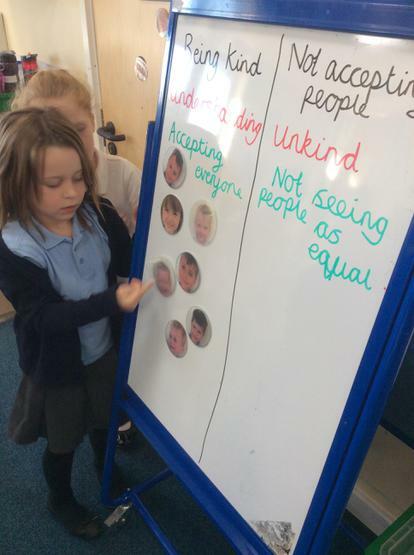 This week we have been learning about one of the words in TEAM GB - 'equality' and the children had lots of ideas about what it meant to be equal. Here is a photo of us voting about what equality means. 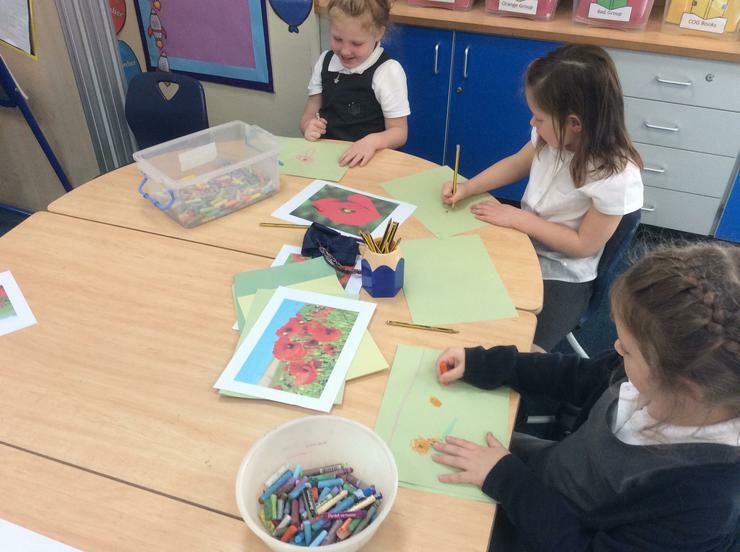 In choosing today we did lots of activities about Remembrance Day and the children had a go at making poppies! 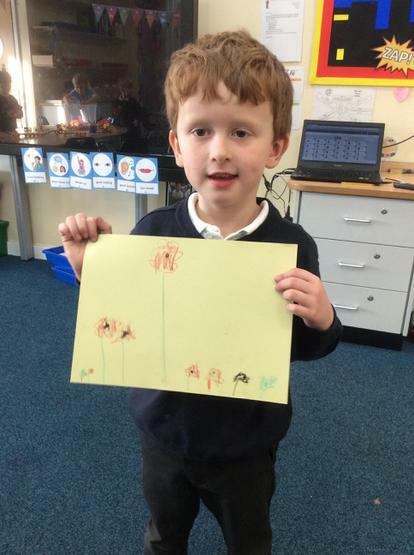 They also had a go at drawing some beautiful pictures of poppies in a field! Have a great weekend, see you Monday! What a fantastic first week back after the holidays! We've been very busy with parent's evening and I have loved being able to tell all the mummy's and daddy's how wonderful the children are. Today we've been chatting with class 3 all about bonfire night and how to keep safe. We've been doing some really fun choosing activities all about bonfire night and the children have made some lovely pictures with black paper and coloured chalk! The children have been doing some fantastic writing this week. Traction Man visited our classroom over the holidays and left lots of clues for us to find! Today we wrote a letter to him asking lots of questions about the clues he had left. Next week we have an exciting week with the school disco on Tuesday! Have a great weekend, see you on Monday! We've had a lovely week this week in Class 4. The children have been reading the story Captain Brainpower and have been writing sentences all about the Mighty Mean Machine crushing all the toys on the dump pile! The children have been applying their learning from previous spelling lists to write sentences including the suffixes -ed, -er and -ing. In maths this week the children have been using + to start writing number sentences using numicon pieces to help them. They have been doing some fantastic counting! In science the children have been doing a very special super mission! Super kid had an emergency- he got all wet on his recent mission in the rain! He needed the help of Year One to find a material he could make a new waterproof cape from! On Thursday the children investigated outside in the sunshine which materials were waterproof and which weren't! 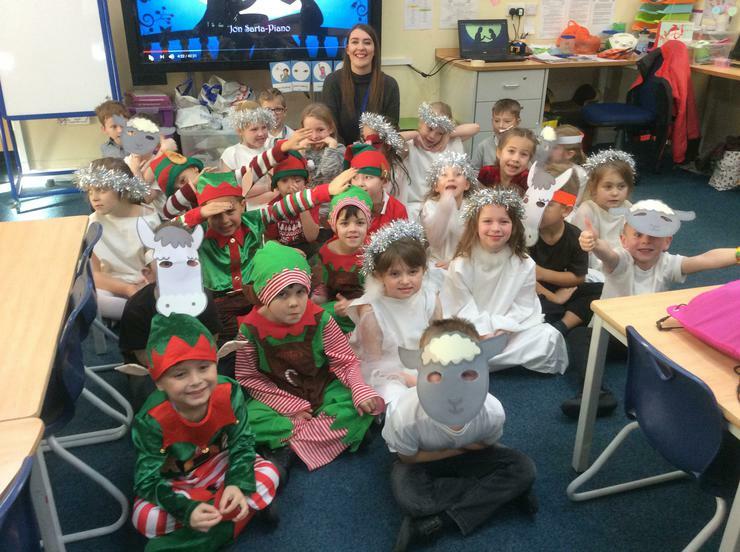 As as you may know, Mrs Henshaw has now taken her maternity leave and Class 4 will miss her so much on a Thursday! But we're very excited because as of Monday we will have a new teacher to teach Class 4 on a Thursday. 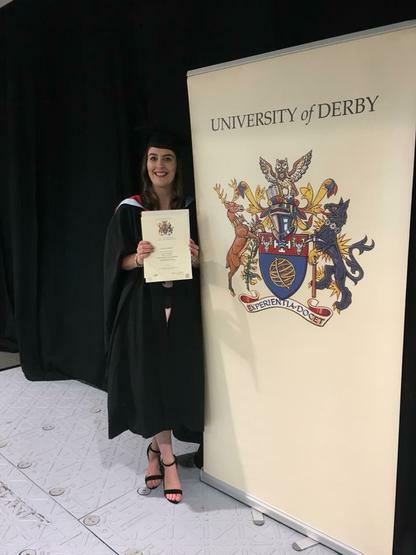 Ms Rumsby will be around Monday morning to meet Year One and spend some time with us, and her first full day in Class 4 will be on Thursday - we look forward to learning with her! It's been a fantastic week in class 4 this week and we've all been really super whizzy learners! In English we've been reading 'super pigs' and the children have absolutely loved the story! We've been doing lots of work sequencing the story, acting out the story with our super hero capes, creating freeze frames from the story and doing some fantastic writing! In Maths the children have been completely amazing me with their fantastic abilities to use the symbols for greater than (>) less than (<) and equals too! They have been comparing groups and then moved onto comparing numbers! Today we ended the day with a fantastic treat whilst raising money for a great charity! The Macmillan event that Miss Busby and Miss Marvin put on for us all was a great success and the children enjoyed the chance to have a cake and a drink and play a game. We also had some raffle prize winners in our class! - People who weren't there I chose you a prize and you can collect it Monday! It's been another busy and fun week in class 4! Our first full week back at school has definitely tired us all out especially as we're doing such grown up year one jobs! In Maths we've been doing lots of super whizzy counting going all the way up to 20 and back! some of us have even tried to count to 100! In the afternoons we've been doing some science, design and technology, PE and some time for choosing!! I hope you all have a fantastic weekend and see you on Monday! Well what a busy but exciting week for all of us in class 4!! I have been so impressed with how the children have dealt with moving up from Reception! We have done a fantastic job of setting a good example to the new children in Reception now we are Year One's! We have spent quite a bit of time getting to know each other and our bran new environment - the reading garden has been a particular hit with all! This week we have been focusing on a whole school story called 'the colour of home'. We've read parts of the story throughout the week and created some beautiful artwork which will be hanging on display in the corridor outside of our classroom. We have also been doing a little bit of phonics and maths and have been having lots of fun playing too. I'm very excited to get started next week and begin our superheroes topic! Homework is set each Friday, to be returned by the following Thursday please. The weekly homework can be found at the bottom of the page. We hope you enjoy learning with your child . In Year 1 ,the children have a spelling test which is based on the phonemes they have been learning in Phonics. A spelling list will be stuck in their spelling folder on a Friday. They will then be tested on the following Friday. Please could you help your children to practice. Reading books will be changed weekly. This will allow your child to read their book more than once; this will help develop their fluency and comprehension skills. Children will participate in 2 P.E sessions a week,Tuesday and Friday.Please can you ensure that your child has appropriate kit in school. Our class email is: class4@greasley.notts.sch.uk. We would LOVE to hear what you have been up to out of school! Please feel free to send in pictures and share your adventures and achievements.